Cemeteries at Easter have a special significance to many who make the trip there to put lillies on graves of loved ones or just drive through to check on things and make sure all is well. My Easter Sunday afternoon consisted of taking my son to the ice cream place for a milk shake and a trip by the Jackson cemetery to check on the family graves and make sure the Easter lilies hadn’t turned over. What was intended to be a 10 minute drive through turned into a one hour walk through with my son, who is learning to read and enjoys when he can identify a name here and there. He asked a lot of questions about the various headstones, the symbols carved on many of them and the special plaques that are placed by some of the older graves. I explained to him that a Caduceus, the winged emblem of Mercury, meant someone was a doctor, that the Masons was an all-boys club that his grandfather, great-grandfather and great-great grandfather had all been members of and that the silver Maltese crosses on some of the graves meant that someone had fought in the Civil War. We also discussed some of the graves of World War I and II veterans, what an Obelisk was (the tallest one in the cemetery) and why some people are in crypts and not buried under the ground. This morning as I got to work, my wife called me and said she was going to have to brush up on history because when she was driving our son out to his friends house for the day, he had been peppering her with questions about the “silver war” and told her that it was all because “a bunch of Georgia people got mad at all the New York people and had a fight that lasted four years”. He also had lots of questions about World War I and II. He has been bitten by “the Cemetery Bug”, an affliction I know very well. From the time I was his age and well through my early teenage years, cemeteries were a frequent destination with my grandparents on both sides of the family. No matter what time of the year I went to visit my grandparents, my maternal ones in Jenkinsburg and my paternal ones that moved around North Georgia in their various ministerial assignments, it was inevitable that a trip to the cemetery was on the agenda at some point. Both of my grandmothers had inherited the sacred family duty of keeping up the flowers on the graves of their ancestors and this duty expanded to keeping up the graves of cousins, aunts, uncles, close family friends and others who had no one to look after the sites. 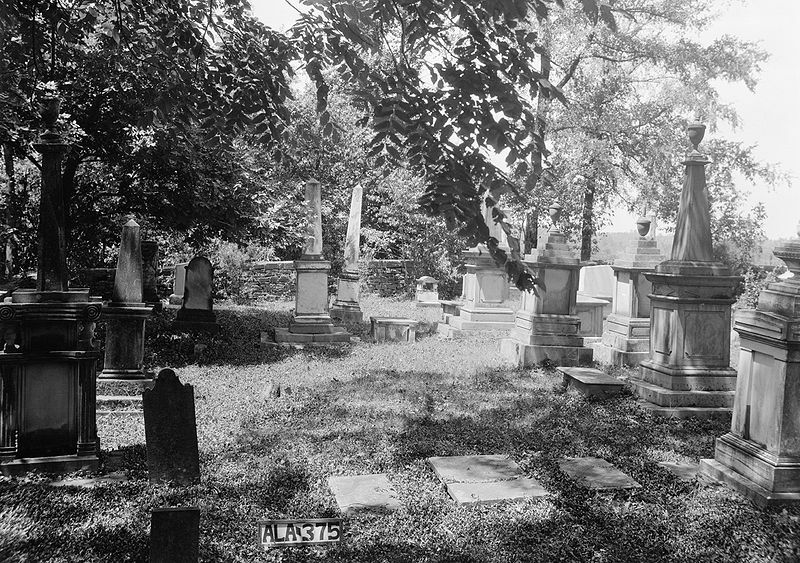 A trip to the Jenkinsburg cemetery, within easy walking distance of my grandparent’s house, became a work day taking care of the Woodward, Bailey and Moore family graves. This usually resulted in new flowers on family graves, inspecting everyone else’s graves and making sure the flowers hadn’t tipped over and putting them back if they had, pulling weeds and removing debris, smoothing over the marble chips and anything else she could think of while the midday sun bore down on top of you. If there was a lot of work to do, my grandfather loaded up the needed supplies in his pickup truck and we rode over there, then usually out to Fellowship cemetery where even more Woodward family members were resting, then down to Jackson to check on the Caston and Barber family sites, and finally back to their house. My grandmother’s storage building was stocked full of plastic flowers which she rotated through the year at the various graves…lilies at Easter, poinsettias at Christmas and various seasonal arrangements for other times of the year. Of course, at various times, there were fresh cut flowers from her garden, reserved for the special few like her parents and later, her husband. While she was working, I would hand her what she needed and ask questions about the various stonework in the cemetery. I, like my son, was impressed with the lone obelisk in Jenkinsburg because it was the highest one there, just like in Jackson…or the one family who had an elaborate wrought iron fence around their plot (they had been the “rich” family in town in the earlier part of the 20th century). 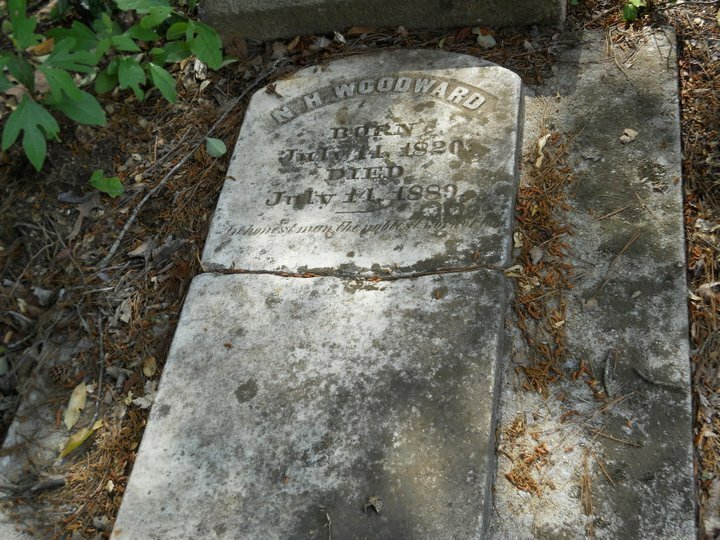 As she arranged, cleaned and fixed things, she would relate to me the history of her family and the four generations of Woodward that had preceded her in Butts County and most of whom were resting in that cemetery or out at Fellowship. She also explained the various family connections to other names in the cemetery such as the Moore family (her mother’s line) and the Bailey family (her grandmother’s line), as well as other various ancestors and cousins. Many of these conversations were repeated each time we went to the cemetery until they were as familiar to me as the streets of Jackson and impossible to forget. For years, I thought she must go ALL the time because we went every time I went to visit. Later, when I was older, my grandfather told me she really didn’t go as much as I thought she did-she usually waited until I came up there to go with her. Apparently, I made the time go by quicker and the work more enjoyable when she had someone to talk to and pass things on to. In the summer, the work was hot but the reward was a BLT made with tomatoes fresh from the garden and a cold glass of ice tea. When I got older and could drive, I would still go up there when she needed me and drive her to the cemetery loaded with things to do. As she got old, she would direct more of the work to me, pointing to this and that and I would oblige, although I never had her eye for detail. Today she is 93 and in a nursing home but still is taken out and driven around each day and the cemetery is a daily stop for her still, although she can only sit in the car and look now. Cemeteries are cherished places in the south. They are peaceful, tranquil places where birds, squirrels and rabbits like to roam, where trees grow stooped with age, casting long shadows and cool shade during hot summer months, where kids will trepidatiously wander, play and ride their bikes, where adults can walk or run off their extra pounds from too much southern cooking in the late afternoon when the sun is going down and the air begins to cool. They are places where a grandmother and her grandson or a father and his son can leisurely visit to stare in wonder at the individual monuments to our collective history. Each headstone tells a story or gives a glimpse into the life of someone who blazed the trail before us….. Doctors and Masons, Ministers and Parishioners, Soldiers who survived wars and those who didn’t, beloved wife, beloved husband, cherished child, taken too young, families united and deep roots that go back over a century and a half, all resting in peace and hopefully enjoying all the company that comes by to see them. Some traveled the world and some never left home, rich and poor, white and black, male and female, known by many and known by few but each with a story and a history. In Southern churches, we commune with the saints and in Southern cemeteries, we visit with the dead because even in death they are still very much a part of us in life. A memory of a happy day or a childhood trip, of baking pies or a Christmas feast is all it takes to bring them back to life in our minds and they live again and their memories continue to mold us, instruct us and influence us. Someday, in the not-so-distant future, my grandmother will go to that place and rest with all those she has looked after for many years. I don’t think she fears that day though because that place is as familiar to her as the home she lived in for sixty years and she has been working on it for so many decades now. She is the last one left of her generation and the ones before her but she has made sure her family’s history is inside of me now and I know she expects me to pass that on. It is a family tradition after all.